A quick guide to get you started straight away. In the top left corner of your website canvas, you will find three buttons: Add Content, Change Appearance and Manage Pages. Under each of these, you will find several alternatives that allows you to do right about anything with your website. Try to click the Add Content button (the cross symbol). On your left side, a panel will show: this is where you find our library of elements, or blocks. Note that the blocks are divided into different sections, such as Text, Media, Blog & News and so forth. Scroll down to see more elements. 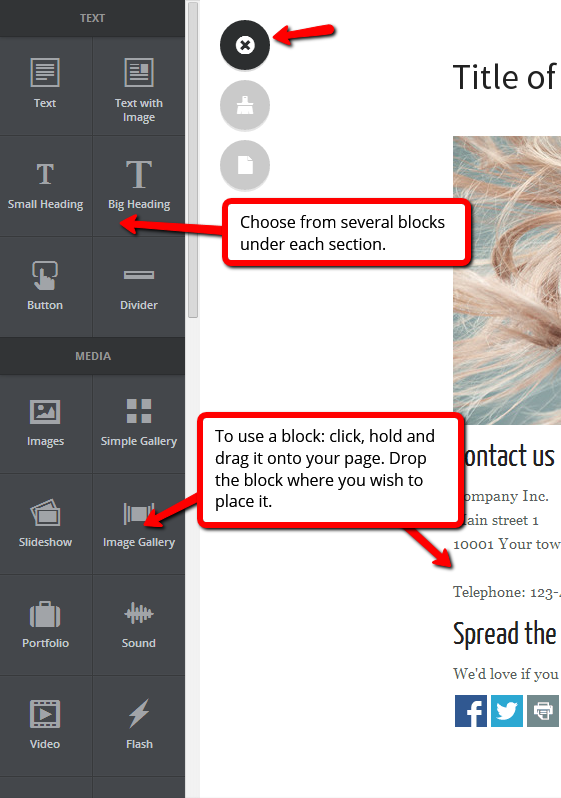 You can use each of the blocks on your website to add text, images, video, blogs, buttons and gadgets and much more. Place your mouse cursor over a block to show the Block panel. Below is an image of a Text block, where the Block panel allows you to edit the text (which can also be done by clicking directly no the text), managing the frame around the block or adding an image to the text. Let's have a look at the Manage Pages tab. Click the page symbol to access Manage Pages. 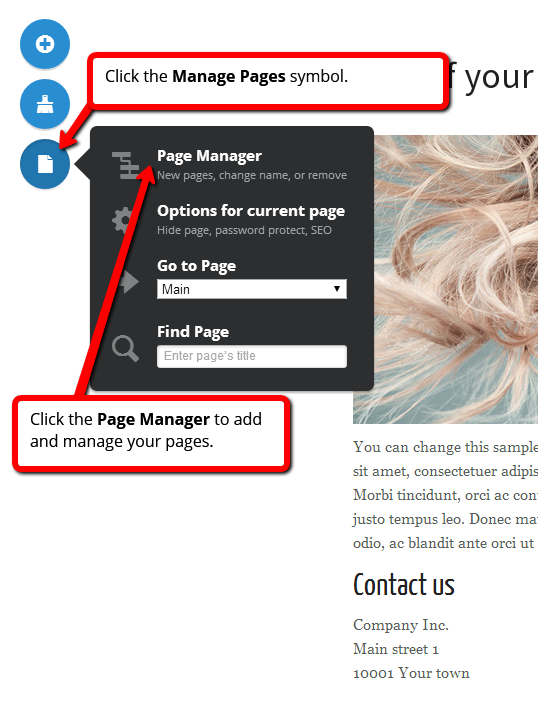 Here, you can add new pages to your website, go to a specific page and change many settings for your current page. When clicking the Page Manager, you will reach this dialog box. Use the left hand panel to add an empty page or a template page. Use the right side panel to change the order of your existing pages or change their settings. Click the brush symbol to access the Change Appearance panel. 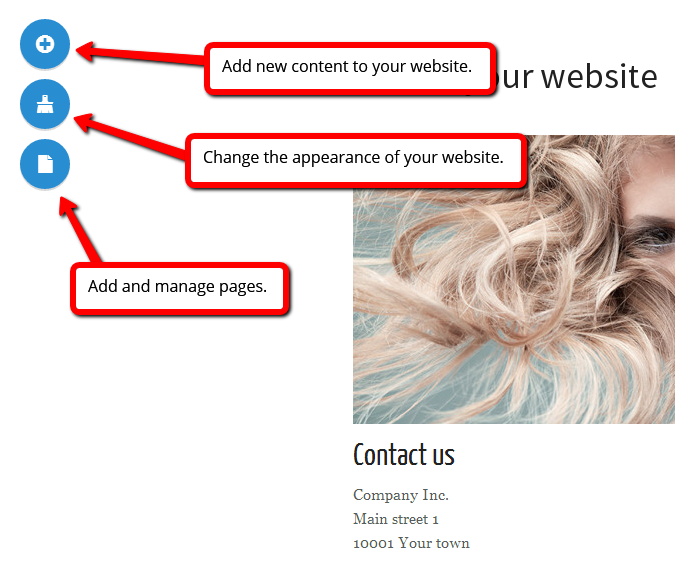 This is where you manage the general looks of your website. 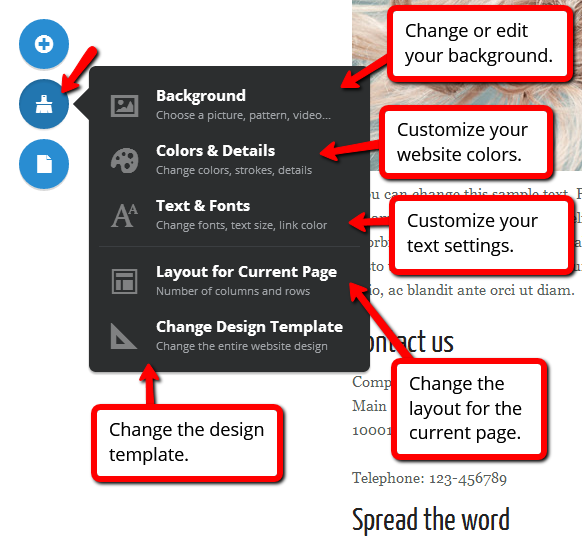 You can add or edit your website background, customize your colors, text and design details, change the layout of your current page and more.